'We have had corruption-free five years. There has not been even a whisper of corruption in this government,' Sitharaman said. NEW DELHI: Rallying the BJP workers ahead of the upcoming Lok Sabha polls, Defence Minister Nirmala Sitharaman on Saturday asked them to create awareness about the government's achievements, especially that Prime Minister Narendra Modi has provided "corruption-free" five years and that no major terror attack has taken place during this period. Speaking on the party's political resolution on the last day of the two-day Bharatiya Janata Party (BJP) National Convention here, she also accused the Congress of seeking help from Pakistan to remove Modi as the Prime Minister and said it was possible only under Modi's leadership that the country could foresee a bright future. "BJP workers should highlight two things. First, that there has been no major terrorist attack after 2014. All attempts to wreak havoc in the country have been eliminated at the border itself and this government has ensured that there are no opportunities for terrorists to disturb peace. "And second, that we have had corruption-free five years. There has not been even a whisper of corruption in this government," Sitharaman said. "If we have to continue on the road of 'sabka saath, sabka vikaas' (development for all), we can't afford to lose momentum. It's only under Prime Minister Narendra Modi's leadership that the country can foresee a bright future," she said. "India lived in hopelessness as the government was not responsive, it did not know what the poor needed, there was complete policy paralysis, corruption was rampant and terrorists used to play havoc in the country," she said. "If one counts the number of pro-poor decisions Prime Minister Modi has taken, they would find that there has been on an average one decision every day over the last almost five years. This has led to the transformative change that India is witnessing today." "Pakistan is today isolated in the world arena due to Prime Minister's diplomacy and his ability to maintain relations with all countries. He has built relations with the leaders of the world. Pakistan is feeling the heat today and unofficial (terror) groups supported by Pakistan wreaking havoc in the country are being stopped right at the border," she said. 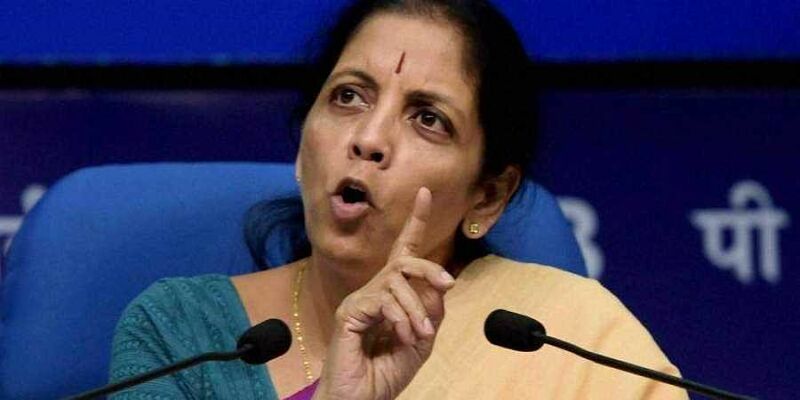 Sitharaman added that under Modi's leadership, "the defence forces conducted surgical strikes across the border and instead of commending them, the opposition wanted proof". "We showed them the proof. And it was the same opposition -- some leaders of the Congress -- who went to Pakistan seeking help to remove Prime Minister Narendra Modi. This is the kind of dirty politics that the Congress plays." She said India was at a "historically important juncture" and the BJP workers should create awareness about reforms being undertaken by the government and work in that direction till Lok Sabha election results are declared.